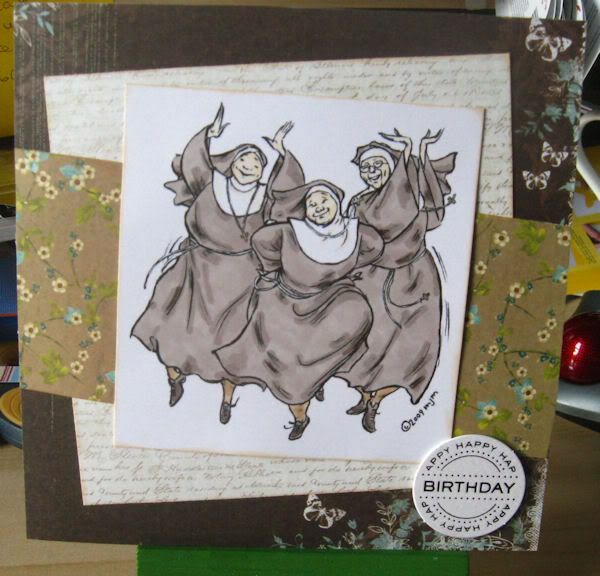 Just LOVE those prancing Nuns!! Did you do those for your little sale table Ruth or something specific. They would go like hot cakes, I am sure. Both great. I adore the PS images, I keep getting them, lol and you've done a brill job colouring those habits. lol @ the Nuns, great image. Patty wrote: Just LOVE those prancing Nuns!! Did you do those for your little sale table Ruth or something specific. They would go like hot cakes, I am sure. I just got that blossom paper in a kit and can't make myself cut into it. These are terrific, another one that I'd love to send my neice, if they didn't know I made cards I'd buy it from you, then my SIL would want to borrow the stamp or have some images from me. Great cards but I just love the nuns. Oh I love that first card, she is just adorable. 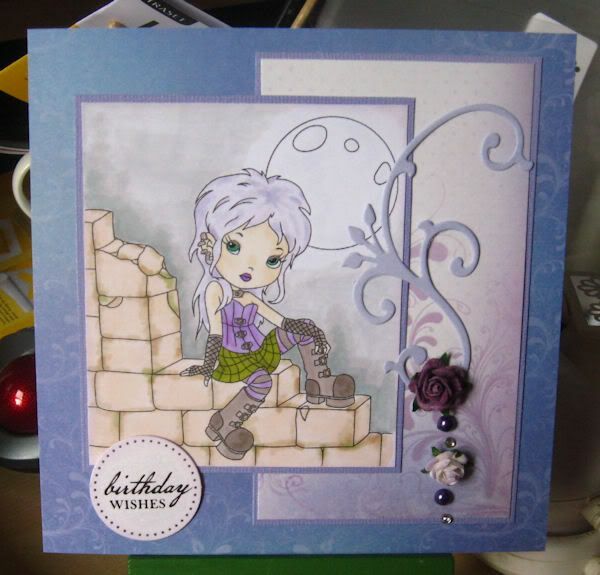 May have to go looking for that site, great cards Ruth, well done. The nuns are great but don't know who I would send it to. Love the first one. The colours are sublime.